Cincinnati Friends Meeting is one of more than a dozen local congregations involved in the Sanctuary/Solidarity Movement, which is led by the Cincinnati Sanctuary Congregation Coalition and supported by the AMOS Project, of which Cincinnati Friends Meeting is a member. Although we lack the facilities to provide living space for immigrants in danger of deportation, we are committed to supporting those congregations that do. In addition to offering our love and spiritual support to those affected individuals and families in their time of need, we may also provide monetary aid, food, clothing, health and medical support, and legal and other support as we are able and called to do. 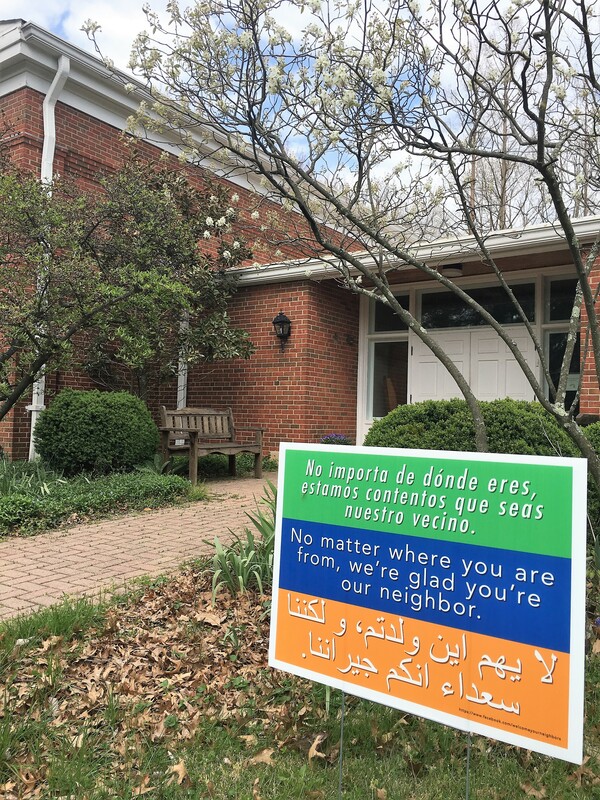 To show that we welcome all people, we have posted a sign in front of our meetinghouse and by our front door: No matter where you are from, we're glad you are our neighbor. This message appears in English, Spanish, and Arabic.